I love Fennel. I love the crunch, I love the flavor, I love the look, and I love the way it makes me think about being a little kid. Being Italian, Fennel is something that you put out on the dinner table for people to snack on before and throughout dinner. 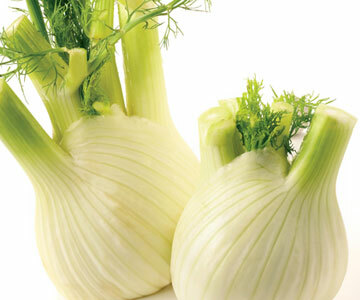 I think this started because since ancient times Fennel has been used a a natural means to settle an upset stomach. In my world that tradition faded over time, so it will always remain something that will remind me of the holidays at my grandparents house. There was Fennel, Celery, Carrots, and both green and black Olives. As a kid the Fennel was to eat and the olives were for me and my cousin to stick on our finger tips and chase each other around. More recently Fennel is something that I eat at least once a week. It simply adds crunch to a salad or can even be the star of a dinner. Gnudi with Sage Rose Brown Butter. ﻿ ﻿ Are you one of the people who think flowers are a waste as a gift? Do you think, "what's the point? They just die"? Well I have to admit that I feel like that sometimes. Especially with Roses. I mean I love to get them, but after a few days I see them start to lose their strength, and I know it's only a matter of time before they are just tossed in the trash and forgotten about. This year a have a plan for your Valentines Day left over roses... Eat them!!! That's right. Eat them! I checked online and they are completely safe to eat, and the first thought that popped into my head was to make a Sage Brown Butter sauce and toss the Rose petals in. I tested it, and it worked perfect. The flower petals added only a slight floral favor, but did not interfere at all with the classic taste of the Sage Butter sauce. Now I had to figure out what to put the sauce on. My mind went to the last time I had it which was at Il Buco Alimentari& Vineria with Gnudi.